Ananka's Diary: The Eternal Ones Comes Out TOMORROW! Yay! I'm going to be the first one at Borders tomorrow! This'll be a good distraction from my Mockingjay & Darkness Dwellers countdowns! Can't wait! Kira: I am too! Eternal Ones for the win! 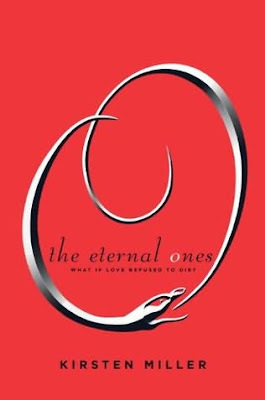 I can't wait to read Eternal Ones! And Darkness Dwellers too. Aw! I'm so glad your book is coming out! I can't wait to read it! And your post sounds so sweet! And Laura Dekker can sail! awesome. but do you have a release date for the darkness dwellers? im kinda funny how i keep track of time by the release dates of books. my cousin asked when i go back to school and i said, the day after mockingjay comes out. but how long does it take to get a book published? *SQUEE!!! * *SQUEE!! * I WILL CRAWL TO THE BOOKSTORE IF NECESSARY...!!! Eeeeeeeeee!!!! I can't wait! The Kiki Strike series gave me some adventure in my ho-hum otherwise uninteresting suburban life. I can't wait to read another one of your fabulous books. It's been too long! I'm definitely going to be buying the book soon! And wow, I cannot wait until the third Kiki book comes out! Can't wait to buy it!! Yeah I have been reading your blog from the beginning almost. I remember it was after I first bought the book in 2006 and became obsessed. Although I have changed my screen name a few times so it might be hard to remember me haha. Yay! Eternal Ones release day!!!!! Always in your support, thanks for the mention! I've been reading since the early days, too. =] I just don't comment very often. Patsee: Yes, I'm sorry I didn't add your name!!! have any of you finished the eternal ones? i think it's great! different from kiki strike, but its a good thing when an author writes differently. eh who cares YOU CAN NOT STOP ME!!!! AAAAAAAAAAGGGGGGGGGGHHHHHHHHHHHHHH!!!!!!!!!!!!!!!!!!!!!!!!!!!!!!!!!!!!! TOMMORROW!!! I MUST SCREAM IT TO THE HEAVENS!! BUT, I'M IN A LIBRARY AND I WOULD NOT LIKE TO BE KICKED OUT. AH, CRAP. I'M BROKE. I KNOW!! I'LL REQUEST IT FROM THE LIBRARY. NOBODY TELL ME ANYTHING ABOUT THE BOOK. IF YOU DO, YOU DIE. P.P.S How's the movie coming? Must read it!!! It's forcing me to finish on the road so I can get it a sink my teeth in!!!! Awww thanks!!! I've been reading this blog since January 07 and since then I've been hooked!!! My secret goal in life is to find big foot! Know all I have to do is wait for darkness despises and my life will be complete! Thanks for making me look at the world differently! By the way, how do you pronounce your first name? "Keerstin", "Kerstin"? Just wondering. i live in asia, dont know when will the books arrive at the bookstore. btw, when the next kiki book 3 coming out? I preordered :) I have to wait 3 more days! Yippee! I'm gonna order off Amazon today! Dude, first time checking this blog since 2 month math camp in ohio - this is such a great thing to come home to! Thanks so much, it's been so great knowing you! as soon as i get to the library i will have it in my hands!!! Hazel and Nellie, two of my favorite girl geniuses, I'm sorry I didn't mention you by name. You two certainly keep me on my toes! REALLY? Kiki strike 3 is called THE DARKNESS DWELLERS? omg, who thought that awesome title up? It sounds great, but I'm going to take your advice Kirsten and wait the month and a half until I turn 14. Otherwise I would feel rather ashamed. I can't wait to read this book! Thank you Kirsten, for your stories! 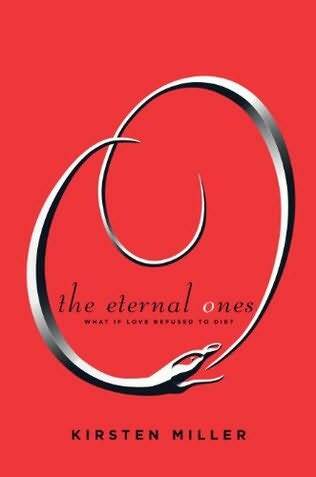 The eternal ones was such a great book! When will the sequel be coming out? you made the OUROBOROS SOCIETY up right? i looked it up from the bookcover and i wasn't sure other than the fact it would be iffy to use a real organization and people.